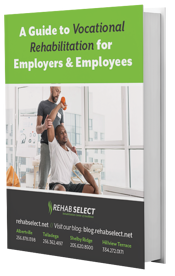 In this guide, we share information for both injured workers as well as employers about how vocational rehabilitation can be essential to returning to work. For employees who are injured on the job, recovery can be a challenging process. However, whether or not your employer has a worker’s compensation rehabilitation program in place, it’s essential to know the options available for a full recovery. For employers, we address several topics, including, how to deal with compensation claims, how an effective workers comp program helps your employees, and finally, how to plan for your employee’s return to work. As you begin your journey to recovery, there are a few things to keep in mind about vocational rehab. It is often necessary for employees with work injuries to go through rehabilitation in order to regain the full capacity to return to their job. It may be requested by your employer – If an employer provides vocational rehab for employees involved in workers comp claims, the employee must comply. Injured workers can also request it – If a physician or rehabilitation specialist determine that vocational rehab would be beneficial, you can request that your employer pay for services to prepare you to return to work, or if you are unable to return to your previous job, rehab will prepare you to return to a job that will be more manageable. It offers a variety of valuable services – While services may vary from person to person, rehab may include, skills analysis and testing, job site assessment and accommodations, assistive technology and devices, vocational counseling and evaluation, resume and employment application assistance, training, and finally, education and job placement. It is beneficial to all involved – In addition to helping you return to work, vocational rehab can also resolve any workers comp issues you might have, which benefits your employer and insurance carriers in the form of reduced costs and closed workers' compensation cases. Workplace injuries can create frustrating issues for everyone involved. For the employee, there is the pain and trauma of being injured on the job, in addition to the recovery and return to work. The planning and treatment should be focused on ensuring that you heal and get back on your feet. This ultimately benefits you by restoring both your quality of life and financial security once you return to your job. Another way a worker’s comp rehab program produces optimal outcomes is by keeping cost efficiency in mind. This may include ensuring you return to your job quickly in order to reduce overall workers’ comp spending and also provide an expedient resolution to workers’ comp claims. A rehabilitation program may take many forms – one of which is physical therapy. In this section, we’ll address a few ways physical therapy can benefit both you as the injured worker. First, physical therapy will helps to restore normal range of motion lost to injury, reduces injury-related pain and stiffness, and helps restore your strength, flexibility, endurance, and functional ability that may have been lost due to injury. Physical therapy will also speeds recovery and rehabilitation in the aftermath of workplace injuries. It will assist you with gaining a more complete recovery than can be accomplished with only rest and medical care. It also reduces the risk of another injury through physical conditioning and education. Finally, physical therapy will also assist you with planning appropriate light duty, transitional positions as well as workplace accommodations during your recovery period. If you qualify for workers comp benefits along with a long term disability policy that provides compensation for lost wages, you may wonder how this may affect workers compensation benefits. Here are a few considerations. Most long-term disability policies will cover the period of time you are out of work. They typically cover anywhere from 30 days to six months, and will pay around 60% of the income you earned while working. Many policies contain wording that states it can offset benefits from other sources (including workers comp) – so be sure to check with your specific policy. If the policy was established by your employer, the workers comp insurance carrier may claim an offset based on the long-term disability benefits. Some policies require injured workers who claim benefits to apply for Social Security Disability benefits. To avoid any confusion or complications, consult your lawyer to ensure that you are receiving the benefits you are eligible for as you work toward a full recovery. For employers working with an employee with a work-related injury, a case manager can play a crucial role to ensure that everything goes smoothly from your employee’s first day of rehab to the day they return to work. Here’s what employers should expect from case managers throughout the rehabilitation process. A case manager is typically assigned to workers compensation claims through insurance carriers, self-insured employers, or third party administrators. Case managers may be registered nurses, but they can also be licensed practical nurses or physicians. Above all else, their role is to help injured employees return to work as quickly as possible. 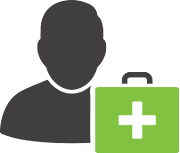 While assigning a case manager is an additional cost for insurance carriers or employers, the benefits tend to outweigh the amount. For your employees, a case manager streamlines the process for faster and easier access to care, improved care quality, and optimal recovery outcomes. In addition, employers, insurance carriers, and others may benefit from a better communication flow, faster returns to work, quicker claims closure, and ultimately – lower workers' compensation costs. First, individuals with these claims are the most vulnerable amongst injured workers, and they often require rehab for a longer duration, which also means a more complex treatment plan is often needed. Second, catastrophic claims also make up 90% of total workers compensation costs, which means that proactive management is essential for a positive and efficient recovery. In order to manage these cases as efficiently as possible, it’s crucial for employers and worker’s comp professionals to understand that fragmented care is detrimental to the overall quality of care and functional outcomes. You should also know that recovering from a work injury is best done through a high-quality, results oriented, and cost-efficient rehabilitative program. The Workers’ Compensation Institute also recommends that employers and workers’ compensation professionals have a team prepared to handle catastrophic workers' compensation injury cases. These teams should be multidisciplinary, including physicians and specialists, registered nurses, mobility and rehab specialists, assistive technology professionals, and care coordinators and/or project managers. As we’ve already touched on, vocational rehabilitation for workers comp is beneficial for helping injured employees to recover and can be crucial for helping them return to work quickly. For employers, additional benefits include retaining your employees rather than hiring and training new ones as well as the potential for reducing workers’ comp costs – if employees can recover and return to work, even with lighter duties, this will lower the cost of wage replacement benefits. In addition to minimizing missed time, here are a few ways that workers’ comp rehabilitation helps employees return to work. Employees are treated by a physician-led team of rehabilitation specialists. An evaluation is done to determine how injuries might affect their ability to perform job duties. A personalized treatment plan is created, depending on the needs outlined in the evaluation. Treatment may include physical therapy, occupational therapy, speech therapy, wound care, pain management and rehabilitation nursing care, among other services. Throughout treatment, progress will be evaluated and adjusted as necessary. Ultimately, workers comp vocational rehab helps the employee return to work in optimal condition, while also keeping safety and cost efficiency in mind for your company. Physical therapy can be a crucial part of your employee’s recovery and their overall rehabilitation program. Here are a few ways in which physical therapy ultimately affects your employee that are also valuable for your company. Since resources are never unlimited, even under the best circumstances, employers will want to consider the costs associated with workers compensation rehabilitation. Research shows that the longer an injured employee is away from work, the likelihood of returning to work decreases. For anyone that handles workers’ comp claims, they know that the longer a claim is open, direct and indirect costs increase as well. Therefore, it’s most cost-effective for all involved – employers, employees, and insurance companies – when the injured worker is in a treatment program designed to help them recover fully and quickly. Not only does this affect the costs incurred by employers, but employees benefit from returning to work and earning their full salary again rather than workers’ comp benefits. Does Workman's Comp Pay for Physical Therapy? Another aspect of cost considerations is whether or not workman’s comp covers the cost of rehabilitation, which includes physical therapy. Under workman’s comp, employers or their workers’ comp insurance carriers, are responsible for paying for any necessary medical treatment associated with a workplace injury. If a treating physician recommends particular treatments, such as therapies, specialists, or medical devices, then workman’s comp must cover the cost. Rehabilitative therapy after a surgical procedure related to a workplace injury may also be covered under workman’s comp. Ultimately, in order to have workman’s comp cover the costs of physical therapy, it must be authorized by the employee’s doctor as medically necessary for a full recovery. For employers seeking more information about workers compensation programs, there are several considerations to keep in mind before moving forward with a workers compensation program. Review past injury records to understand which jobs might be causing more injuries, which will assist you in determining how to reduce risk for those employees. Once you have a list of the higher risk jobs, you can evaluate any potential safety issues and take steps toward eliminating those risks. Gaining support from management will be essential in order to address environmental safety and ergonomic issues and to support the new work injury initiative. Educating your employees on safety policies and procedures is another important step for lowering the risk of injury in the workplace. Lastly, while eliminating risk and improving safety education are essential to the process, your workers compensation program should also include a return to work program for injured workers. Ensure that workers know they have the support they need throughout the recovery process. Make sure that your company has clear return to work policies, someone designated as the return to work coordinator, and perhaps most importantly, a good relationship with rehabilitative professionals who can aid in providing physical and occupational therapy. Finally, once employees return to work, make sure you provide them with appropriate job accommodations. Vocational rehabilitation can be a confusing process for both employees and their employers. By having a workers compensation program in place, companies can ensure that the process will go as smoothly as possible and workers will return in full health. For employees interested in learning more about Rehab Select’s vocational rehab program or for employers in need of assistance in putting together your program, reach out to us today.